Update Oct. 30 at 11:49 a.m.: The photo courtesy was originally not provided when this story was posted. 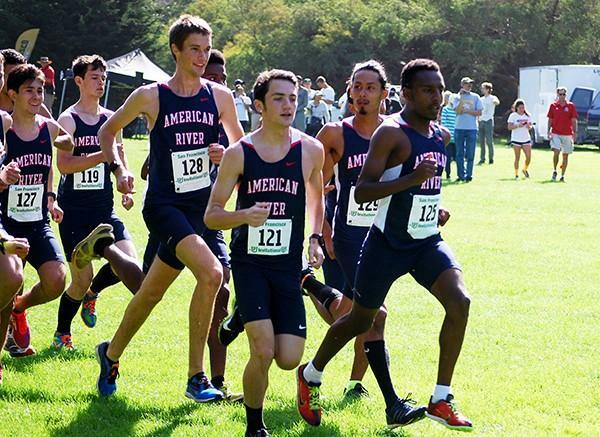 American River College’s men’s cross-country team has been on fire this season and continues to hold it’s number one ranking in Northern California for the sixth straight season. ARC’s next upcoming meet will be the Big 8 Conference Championship in Santa Rosa and the team is so confident that they will not be running their top five runners and are still expecting to win. “We have a super deep team,” coach Rick Anderson said about ARC’s decision to not run their top five runners at the upcoming meet. Another reason for the confidence that both athletes and coaches have in the team’s success is because ARC has been ranked No. 1 in Northern California since September of 2010. “There is more stress because you have a target on your back and eventually someone will knock us off and it’ll be Bad News Bears when it does,” Anderson said. ARC is expecting some competition from two runners out of Diablo Valley, but other than that they are expecting the rest of their runners to place in the top ten. Anderson said that the way he gets such good talent on his team is by picking the top two runners from high schools and making sure the team stays motivated to run and train hard seven days a week. Sophomore Anthony Sanchez said he knew ARC would be competitive before he joined. “I already knew how good the team was and I’d have to do a lot of work to keep up,” Sanchez said. Freshman Ross Walker lead ARC to win the non D1 division of the University of San Francisco Cross Country Invitational this season. “The team has been doing well and training hard and running strong races,” Walker said. Anderson tells the team to take it one step at a time and to never look too far ahead. “Our goal is to win every meet we go to and take them one at a time,” he said. Matthew Norbert is a second-semester student on the Current and managing editor. He is majoring in journalism and plans to transfer after completing his AA. Be the first to comment on "American River College’s Men’s cross-country confident for Big 8 Conference Championship"